Thousands of Iowans are getting new televisions, cell phones, laptops, and other high-tech gadgets as Christmas gifts. Iowa DNR Senior Environmental Specialist Susan Johnson is urging them to recycle their old electronics. “Many retailers will take back e-waste for recycling, regardless of whether you purchased a product from the retailer or not,” Johnson said. 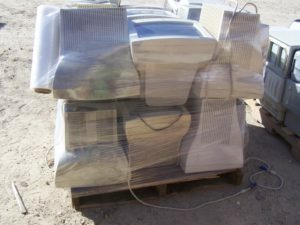 It’s believed U.S. consumers who fail to recycle e-waste, annually, send over two-million tons of computers, TVs, cell phones, printers, scanners, and other such items to landfills. “E-waste accounts for about 40-percent of the lead and 75-percent of the heavy metals found in landfills,” Johnson said. Most electronic products contain toxic materials such as lead, cadium, arsenic and mercury. If they end up in landfills, those toxins will contaminate groundwater. While many retailers recycle e-waste, there are also regional collection centers for household hazardous waste in 93 Iowa counties. “Not only do they take back most electronics, but other household hazardous waste too, such as stains, varnishes, and pesticides,” Johnson said. E-waste recycling habits are improving in the state. According to Johnson, Iowans recycle – on average – over six-million pounds of TVs and computers every year.